White, brown & green dress with neck straps. White mini-apron with pink detail. 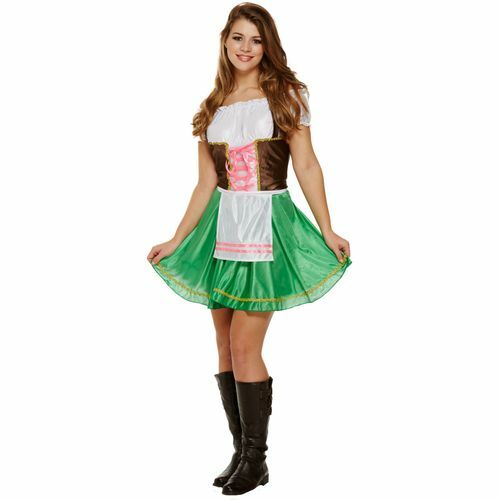 Ideal for Oktoberfest, alpine and country-themed fancy dress parties.